Description Get your saftey helmets on as you construct a tower like no other. 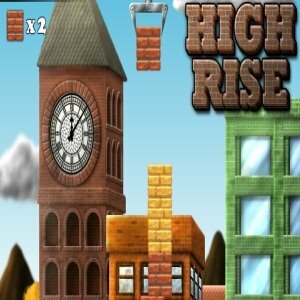 Drop the blocks and reach for the stars in High Rise, our tower building game. Controls Press the mouse button to drop the blocks, you get bonus points for landing a brick directly on-top of your last. I like stack #building #games, nice parallax effect in this one.